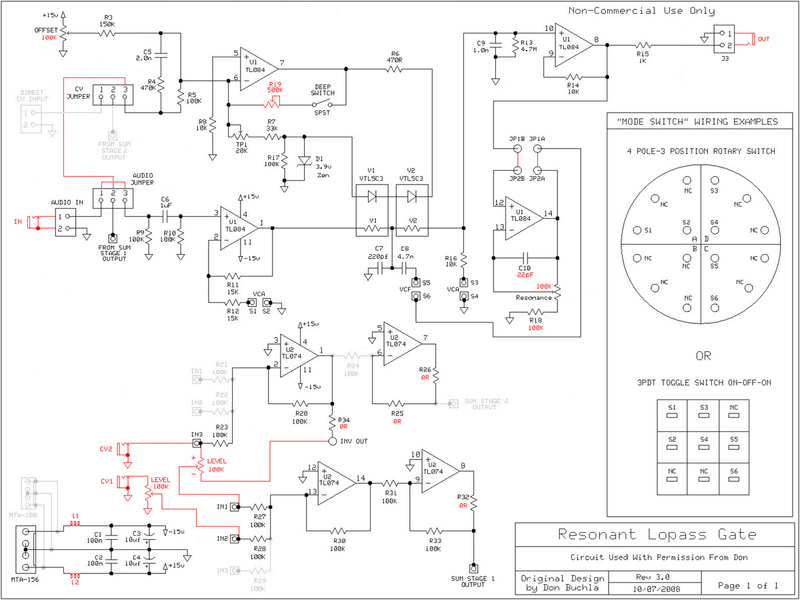 I built the Thomas White Natural Rhythm Music Resonant Lopass Gate module as discussed in the Electro-Music forum and also on the Muffwiggler forum. 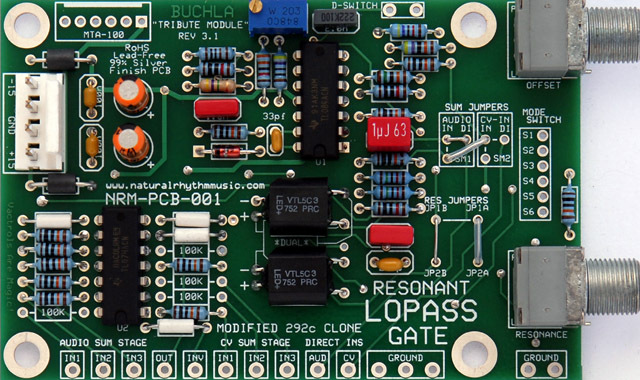 This module is a derivative of the Buchla 292C Quad Lopass Gate. Thomas has rev'd the board since this version but continues to host the version 3.1 web page. The later version is also hosted on his site. 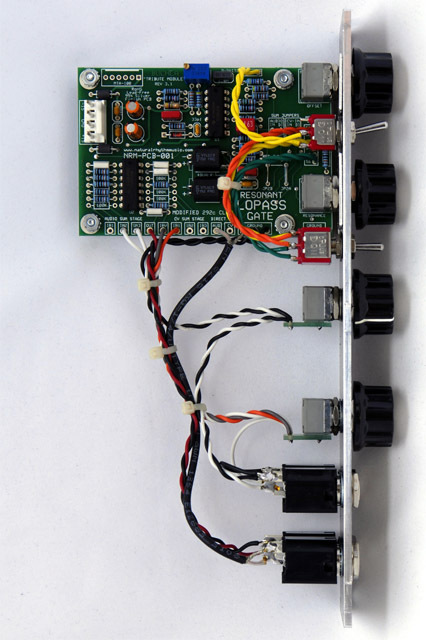 I built the module with two CV inputs and a normal and reversing attenuator. 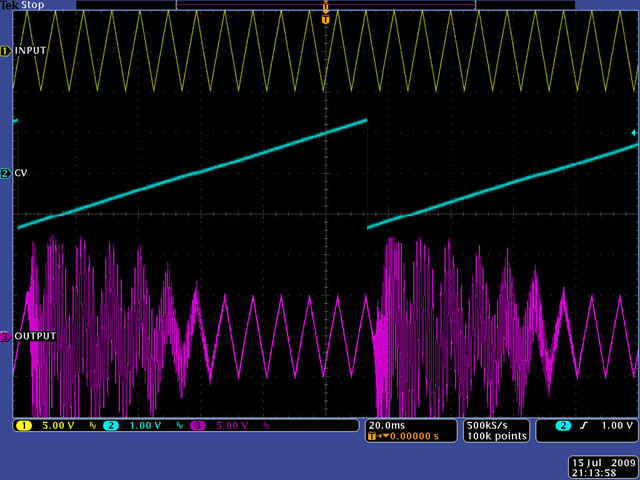 Since I have only one audio input I used the audio mixer as the CV mixer, and used 1/2 of the CV mixer for the inverter for the reversing attenuator. I made changes to the values of R18 and C10 to use 100K potentiometers and I replaced R19 with a 500K trimmer so I could adjust the deep range. The white resistors in the photo are 0 ohm resistors that I use for jumpers. A couple of the parts in the original parts list are obsolete. I updated those as well as made changes for my modifications. I made a bracket out of aluminum and designed a FrontPanelExpress 1U panel to match my other designs. I used a toggle switch so I would have room for two CV attenuator controls. 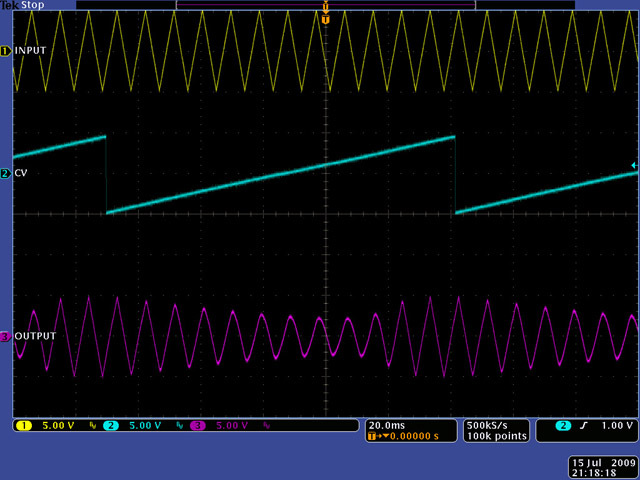 I had to move the VCA/VCF switch towards the center for clearance of the wider dimension of the switch body. The legends are shifted a bit left of center so they clear the tic marks. 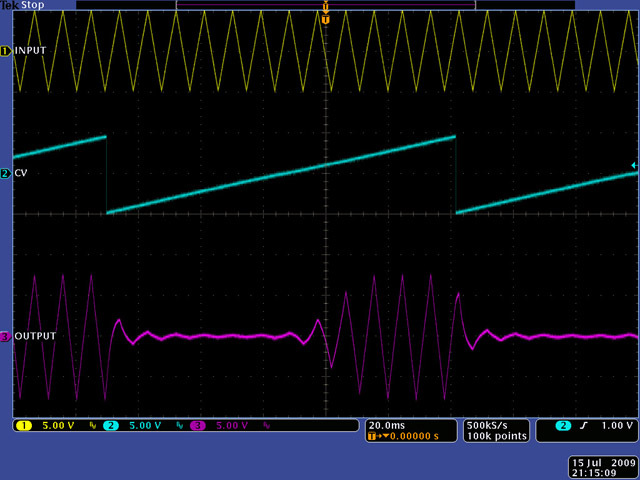 The Deep/Nor switch is moved less towards the center to visually align but have adequate clearance to the tic marks. 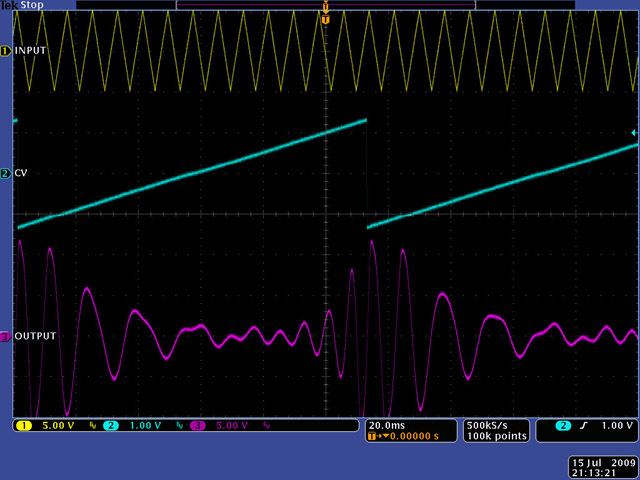 These scope images show the output for various modes and control settings with a triangle input and a ramp control voltage. 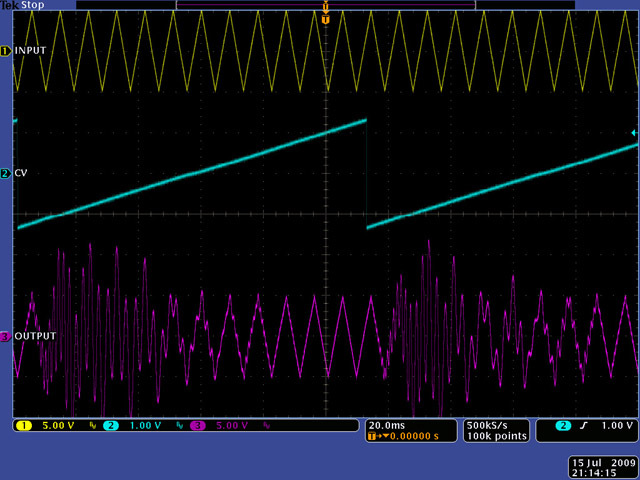 Note that the output level has peak voltages greater than 10 volts peak-peak.